The Greek word translated search signifies a strict, close, diligent, curious search, the kind men make when they are seeking gold, or hunters when they are in pursuit of game. We must not be content with giving a superficial glance to one or two chapters, but with the candle of the Spirit we must deliberately seek out the meaning of the Word. Holy Scripture requires searching—much of it can only be learned by careful study. There is milk for babies, but also meat for strong men. The rabbis wisely say that a mountain of matter hangs upon every word, indeed, upon every title of Scripture. Tertullian declared, "I adore the fullness of the Scriptures." The person who merely skims the Book of God will not profit from it; we must dig and mine until we obtain the treasure. The door of the Word only opens to the key of diligence. The Scriptures demand to be searched. They are the writings of God, bearing the divine stamp and imprimatur—who shall dare to treat them casually? To despise them is to despise the God who wrote them. God forbid that any of us should allow our Bibles to become witnesses against us in the great day of account. The Word of God will repay searching. God does not ask us to sift through a mountain of chaff with only here and there a grain of wheat in it, but the Bible is sifted corn—we have only to open the granary door and find it. Scripture grows upon the student. It is full of surprises. Under the teaching of the Holy Spirit, to the searching eye, it glows with splendor of revelation, like a vast temple paved with gold and roofed with rubies, emeralds, and all manner of gems. There is no merchandise like the merchandise of scriptural truth. Finally, the Scriptures reveal Jesus: "They that bear witness about me." No more powerful motive can be urged upon Bible readers than this: He who finds Jesus finds life, heaven, and all things. Happy are they who, in searching the Bible, discover their Savior. Ours is an age in which assumptions about church can no longer be taken for granted. Far from being viewed as “the pillar and buttress of truth” (I Tim 3:15), the church finds herself in an increasingly hostile climate in many parts of the world. Accordingly, if those within the church want to see more and more people love the same church that we love and that our Lord “obtained with his own blood” (Acts 20:28), then we must be more equipped to answer questions about the church in contexts and cultures that do not share even our basic assumptions about truth, much less the church. 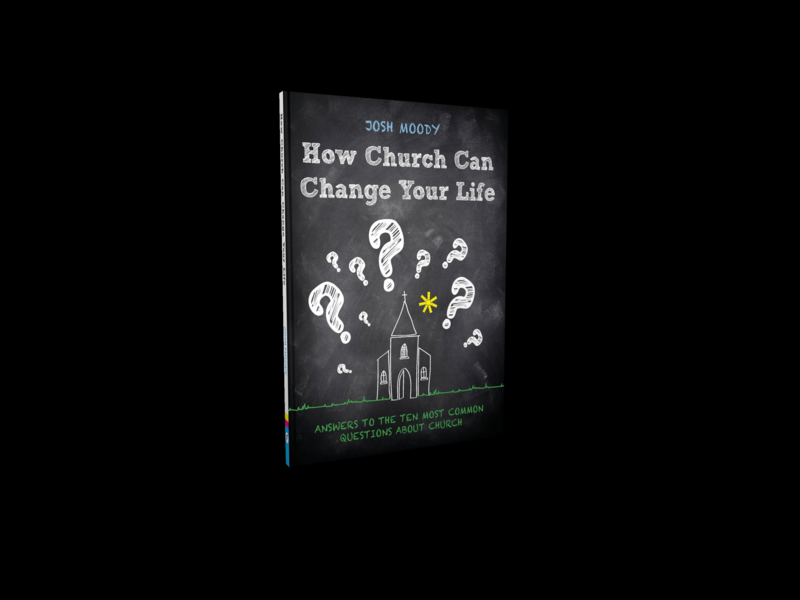 Enter Pastor Josh Moody to help us with his excellent little book, How Church Can Change Your Life. Originally published June 09, 2016.